A New Year is a new beginning that should be filled with tons a new experiences. 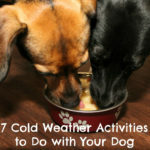 As a pet parent, I bet you probably want to include your dog, cat, or other pet in a bunch of those new experiences. 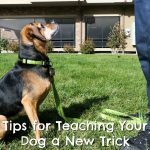 To help inspire some aspirations or maybe even a 2018 bucket list, I’m sharing some of my favorite activities to do with dogs and a few activities that I am hoping to do in the coming year. 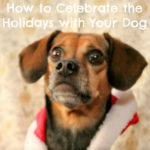 Other than 2018 being right around the corner, this post was also inspired by a brand new treat for dogs. This treat is so new that it isn’t even live on the website, so this is a true “coming soon” sneak peek! 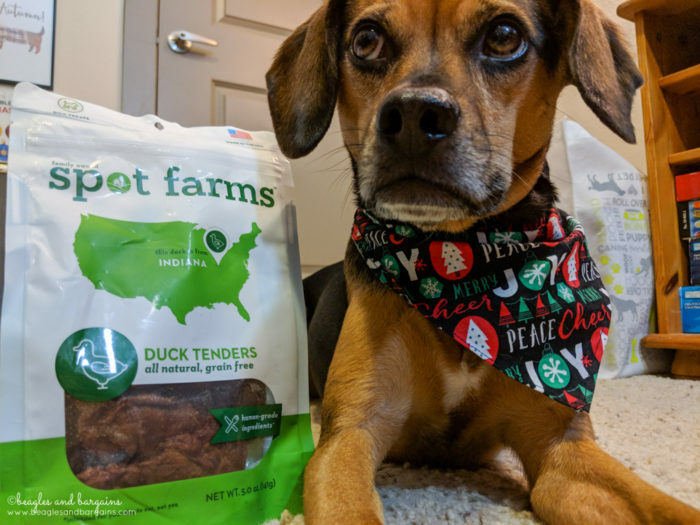 Soon Spot Farms will be launching the NEW Duck Tenders and your pup is hoping you’ll be waiting in line to buy them. Lucky for you, you have the chance to skip the line and the wait because we’re giving some away! Thank you to Spot Farms who is sponsoring our final Stocking Stuffer Giveaway for 2017. Phew! We made it all the way to Day #14. Be sure to enter all 14 giveaways to increase your chance of winning one of the 49 prizes (that’s over $2,000 in prizes! ), we’re giving away. If you missed a giveaway, you can find them all here. Like the brand new Duck Tenders from Spot Farms! These treats are coming soon. See what treats they have currently. All dog treats from Spot Farms are made in the USA with regionally sourced and high quality ingredients. All meats – chicken, turkey, and pork – are USDA approved and raised on family farms in the USA. That’s important because meat will always be the number one ingredient. No animal meal here! The treats are then made in small batches right here in the USA (notice a trend?). Outside of the meat, all other ingredients are also natural and human-grade. That means they are good enough that they could have ended up in your food! The treats will never feature artificial colors or preservatives or fillers like corn, soy, and wheat. The menu of treats from Spot Farms include jerky, bacon, sausage, nuggets, meatballs, and more. Each treat is very meat focused and is made of turkey, chicken, or pork… until now when Spot Farms adds Duck Tenders! 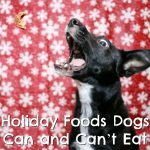 These treats are so new that I can’t even link you to them, so keep your eyes peeled for more information about them on the website and at stores like Amazon and Petco. 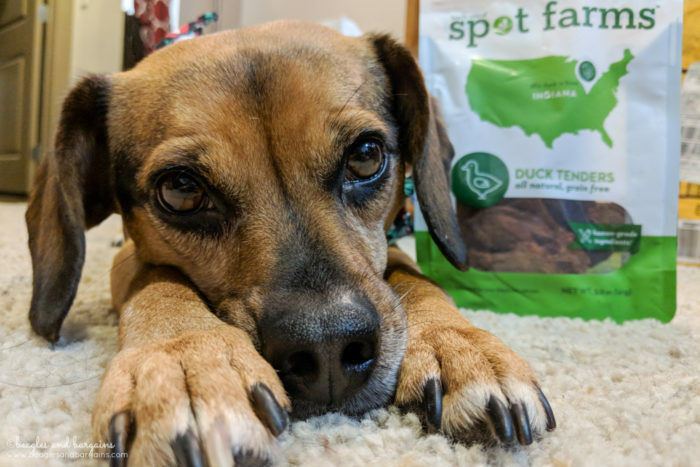 Until then, I can tell you that our bag of treats is made of duck from Indiana and it lives up to the same standards as all Spot Farms treats (listed above). If you want to learn more about Spot Farms, be sure to follow them on Facebook, Twitter, and Instagram! 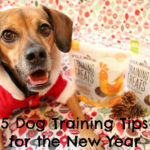 Don’t forget to check out the Spot Farms website to see more information about new dog treats when they hit the market. 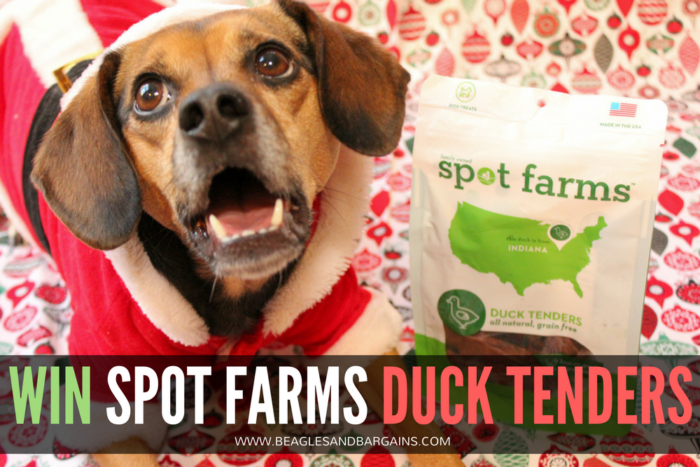 FIVE lucky Beagles & Bargains readers will receive NEW Spot Farms Duck Tenders! Residents of the United States are eligible to enter via the Rafflecopter below. Entries must be submitted by 11:59 PM EST on Friday, December 23, 2017. Winners will be notified via email within 48 hours of the giveaway closing and will have 48 hours to respond and claim their prize. Five (5) winners will receive one (1) 5 oz bag of NEW Spot Farms Duck Tenders. Approximate retail value is $9.99. 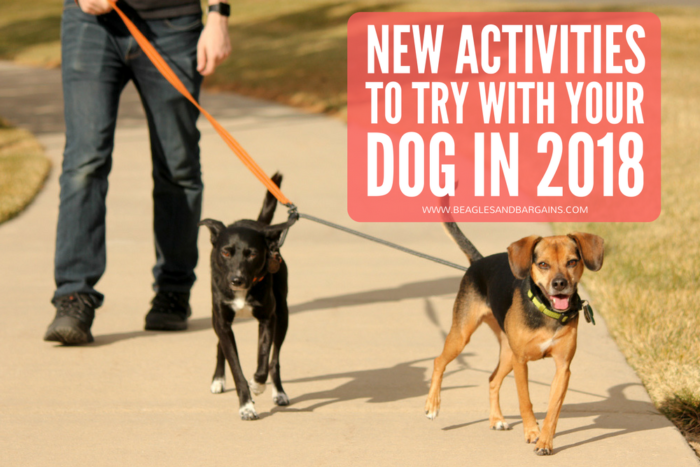 What new activity are you most excited to do with your dog in 2018? Disclaimer: Spot Farms provided product free to review. I am being compensated to help spread the word about Spot Farms. I received no other compensation or additional benefits for mentioning the brands or products in this post. The opinions and ideas in this post are my own and are uninfluenced by any other person or business. Spot Farms is responsible for all giveaway prizes including shipping.